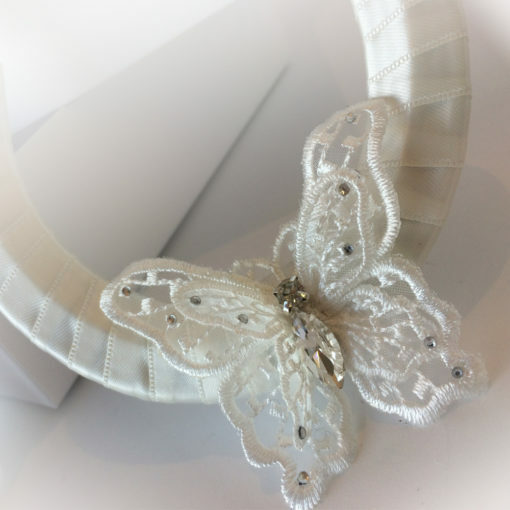 Are you having a butterfly theme for your wedding? 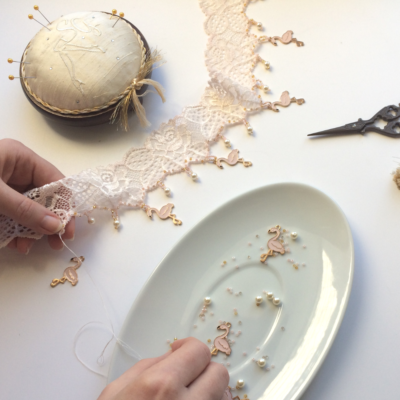 Brides have loved my delicate cotton Nottingham lace, lined with pure silk, because it’s so soft on sensitive skin. The bodies of the little butterflies I’ve stitched with crystals, their wings also scattered with tiny clear crystals. As with all my garters, a small blue bow is hidden inside for your something blue. Have you seen the photos? 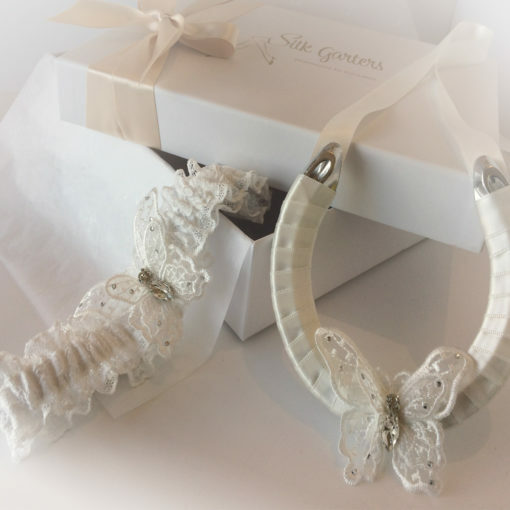 Scroll through and you’ll see wrapped in toning ivory ribbon, the lightweight silver metal horseshoe. 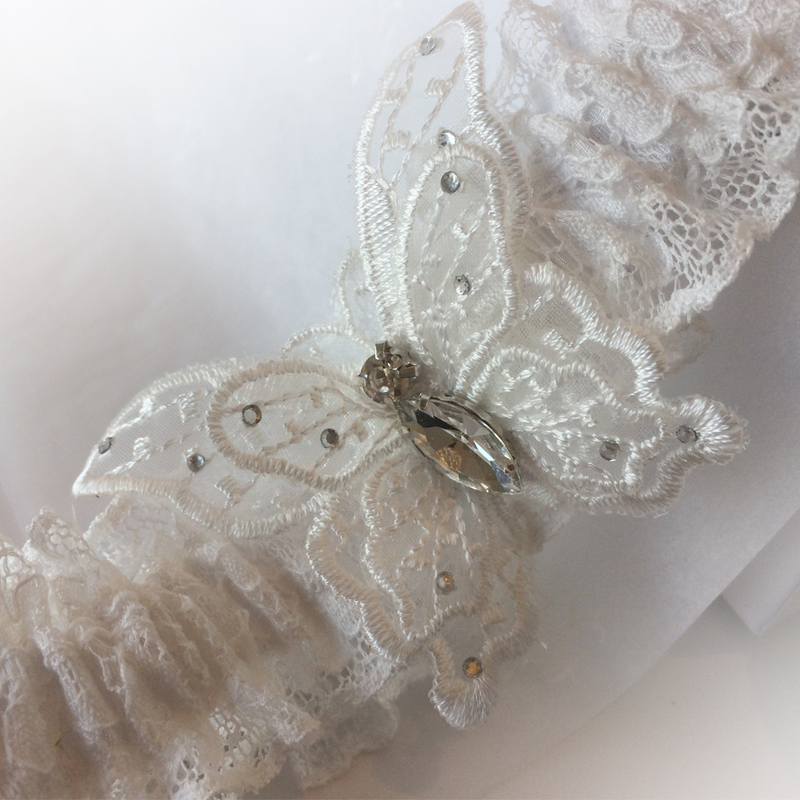 A lovely keepsake, it makes a gorgeous photo too. I’m sure you can imagine a little grandchild, full of pride, presenting it to the bride. 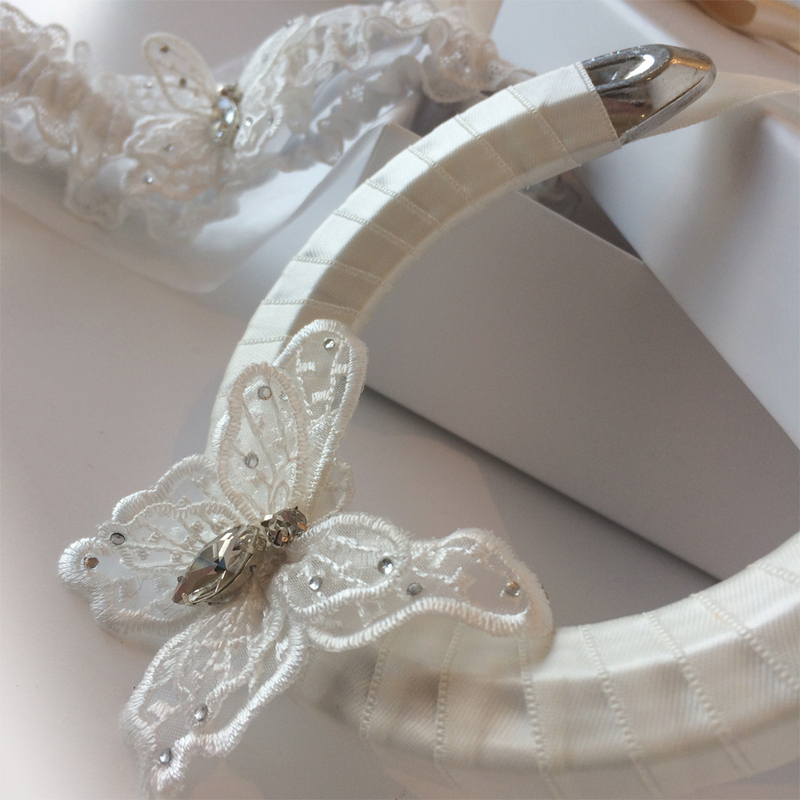 If you are having a butterfly theme for your wedding, then the horseshoes could be lovely as part of your table decor too! Don’t you think it would be a luxurious bomboniere alternative for your guests to take home?